sunshine and whimsy. : there's more good than bad. there's more good than bad. I'd already called in sick today when I heard the news about Boston. I don't remember what my first thought was, but all of a sudden, in addition to my body aching and my throat feeling scratchy, my stomach hurt and my heart felt heavy. I do remember thinking, I'm glad I took a sick day. I just want to stay here, wrapped up in a blanket because I feel like crying and how could I look at my kids when I know something so bad has happened? As I pulled the covers up, my next thought was, The world is scary and it feels like it's getting worse instead of better and are we ever going to be okay? And almost before I had even finished thinking that thought, I had another, and if thoughts have volume, this one was even louder than the previous. No! We will be okay because there are way more good people in the world than there are bad! And I wondered if I was the only one who felt that way. Would people laugh at me if I told them I believed there was more good than bad in the world? Even now, when we hear of rapes and shootings and bombs? 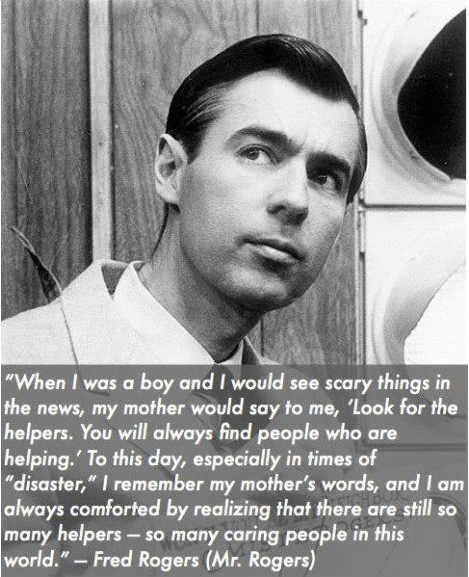 I hope that you, too, believe there is more good than bad and know there are still so many helpers. 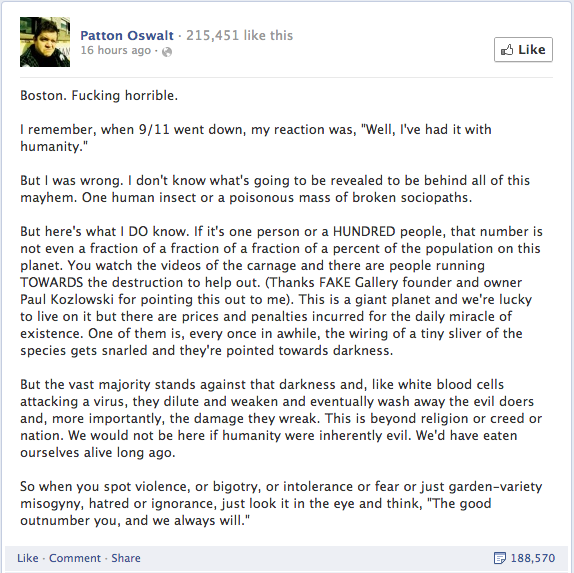 Boston -- and the whole world, really -- I'm thinking of you. xo. P.S. Runners are out in Boston this morning. Having lived in the Greater Boston area for 25 years, let me assure you Boston is a tough city, always has been, and always will be. First instinct is to help those who were hurt, second is to fight whoever is behind this. They definitely messed with the wrong city! Still, it is very difficult to look at photos of innocent people wounded while enjoying a much-awaited Spring day and celebrating the strong will of ordinary people, pushing their abilities to the limit. The overall vibe of the Marathon is positive, encouraging strangers to keep going, showing support and admiration. These were the people hurt in the bombings yesterday. John, I am SO glad you commented. I knew you were from Boston or had lived in Boston or were still living in Boston, so I was thinking about you! I think this might be my favourite part: "These maniacs may have tried to make life bad for the people of Boston, but all they can ever do is show just how good those people are." Thank you for posting the link, John!